A marketing and communications expert with specialization in how to connect with people not like you. She was rated #1 on the list of "26 Hot Speakers" by Successful Meetings Magazine. Kelly is a marketing and communications expert who speaks on how to grow business with effective marketing techniques and how to connect with others to form relationships that are constructive and effective in business. Inc Magazine has twice ranked her company one of the fastest-growing, independently owned companies in the U.S.
"GREAT speaker! Kept my interest the entire time." "I have been coming to this conference for almost a decade and this was, by far, the best session I've ever attended." Kelly is terrific - her presentation style, combined with real world examples and step-by-step instructions on better marketing made this the highlight of the convention." Independent business owners (dealers, agents, franchisees) who need help with marketing and need clear, actionable steps, not just theory. Retailers who need to keep up with changing demographics and how these affect business, today and tomorrow. Association members who need ongoing marketing expertise, the latest thinking and trends and how to apply these to growing their business. HR professionals who want to educate their executives and associates about the growing diverse population of the U.S. and what it means to their business. Also, HR professionals who want to increase productivity and communication through better understanding differences between people. Corporate clients who hold sales meetings, marketing meetings, management meetings and leadership development meetings. Hospitality professionals who need to know how to recruit, hire, train, retain and manage a diverse workforce. Any business with a workforce that has different generations working side-by-side. 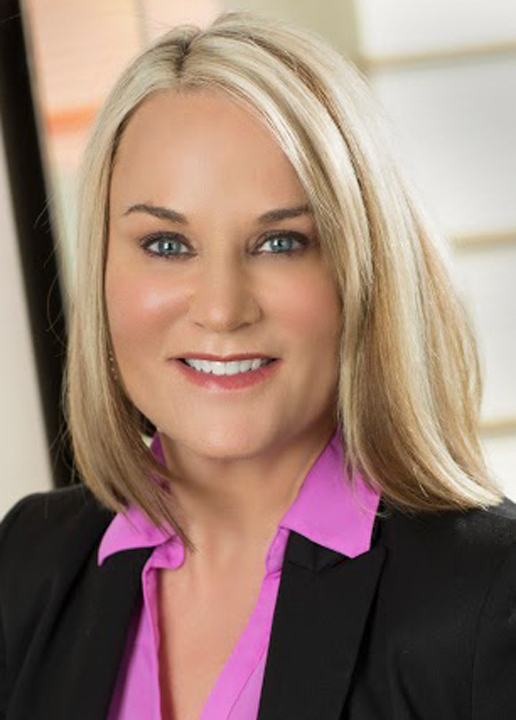 Kelly McDonald is a marketing and advertising expert with specialization in generational insights, multicultural marketing and Hispanic marketing. She worked in top positions for several global ad agencies before starting her own marketing firm in 2002. 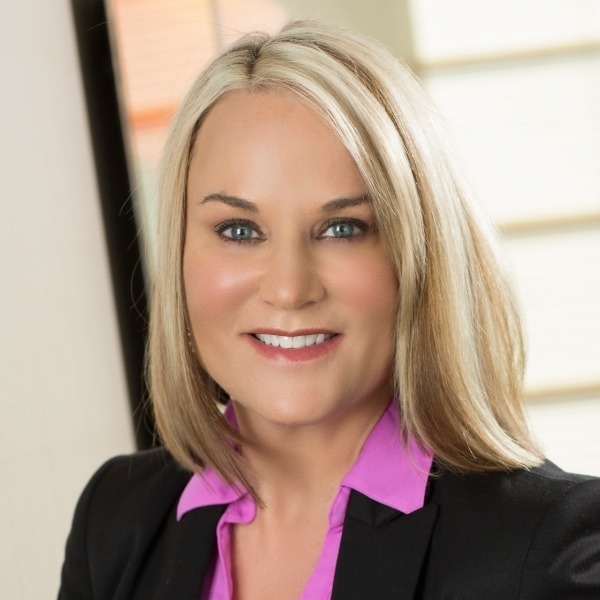 Her client experience includes brands such as Toyota, Kimberly-Clark, Miller/Coors, Sherwin-Williams and Nike. Learn how companies, brands and products struggling to differentiate themselves in a sea of sameness can foster long-term loyalty and brand preference with exceptional and customized customer service. A "one-size fits all" approach to customer service is no longer viable. Businesses competing on service need to understand and cater to customers' racial, ethnic, religious, generational, lifestyle and geographic differences in order to meet or exceed customers' service expectations. This session will cover core customer groups, including women, the five generations (Matures, Boomers, Gen X, Gen Y and Gen Z), racial and ethnic segments, such as Hispanics, Asians and African-Americans, as well as those who are defined by key lifestyle and life-stage attributes. Includes consumer insights that will help you deliver a better business experience for every customer. You cannot control the economy, the stock market or the costs of goods and labor. But you can control your organization's customer experience. It's an empowering thought. Customer service is 100% in your control at all times and it's more important than ever in today's competitive business environment. And terrific customer service doesn't have to break the bank: it's about understanding your customer's values and catering to their priorities. Our marketing environment has become more complex, and consumers have become more sophisticated. Diversity marketing is the new norm, and this doesn't simply mean racial diversity. Diversity comes in many forms: gender, race, age, lifestage, language preference, sexuality, and hobbies or special interests are all ways in which people's differences are recognized. By recognizing these differences and tailoring your product, message or marketing efforts to reflect consumers' uniqueness, you are validating the importance of a consumer group. It may seem counterintuitive to focus on differences rather than similarities, but this can really stretch your marketing muscles and bring incremental results. Today's mom is different than every previous generation of moms. They're busy. Whether they work outside the home or not, they work long and hard to manage their households and the well-being of their family. For brands and companies, cultivating this important consumer segment means big bucks and fierce loyalty if you reach them with relevance. But that can seem difficult to do. Moms today don't watch much TV or listen to the radio. They can't be reached through traditional marketing channels - they're simply not there. They spend considerable time online and are tightly linked to their social network community. They are skeptical of hyperbole and marketing "promises". But they listen to and respect the companies, brands, products and services that meet their needs and market to them by building relationships with them. And they listen to other moms. This session will show you exactly how to effectively tap into this large, lucrative and loyal market. The 2010 Census numbers are in and the findings are startling and profound. One in three Americans is not White. Four states have "minority majority" populations. Young people increasingly are opting not to get married. Asians have the highest household income of any race or ethnicity. Rural communities are losing population fast. Now, more than ever, it's imperative that you understand the changing demographics of the communities and groups you serve. How can you best serve a local community or organization if you don't know what your community looks like today? And the changes in demographics take many forms: racial, ethnic, gender, generational, sexual preference, linguistic, even lifestage and level of affluence, to name a few. Diversity of thought helps companies stay leading-edge and proactive as well. And learning about differences in values among different groups is the key to maximizing relationships, marketing efforts and business opportunities. This presentation will focus on why changing demographics and diversity are business opportunities and how these changes affect your business today and tomorrow. We all know that our society is becoming increasingly diverse and that no longer are cultures necessarily "melting together" into one homogenous group as in past decades. In fact, the modern phrase is that our society has moved from being a "melting pot" to a "salad bowl", with clear distinction between different cultural groups. The 2010 Census reveals just how diverse America has become. For example, for the first time in our country's history, one in three Americans is not White. But diversity comes in many forms: racial, ethnic, gender, generational, sexual preference, linguistic, even lifestage and level of affluence, to name a few. Diversity of thought helps companies stay leading-edge and proactive as well. And learning about differences in values among different groups is the key to maximizing relationships, marketing efforts and business opportunities. This presentation will focus on why diversity is a business and personal opportunity - how you can benefit by better understanding your co-workers, your customers and the community in which you live and work, today and tomorrow. We all know that the customer is king. In our increasingly competitive business environment, it's more important than ever to cater to customers' needs, desires and provide customer service that goes way beyond basic politeness and courtesy. The best and smartest companies are finding that listening to what customers want and delivering on every promise, no matter how small, keeps customers happy and coming back for more. And terrific customer service doesn't have to break the bank: it's not about spending more to keep customers happy, it's about truly understanding the customer experience from a personal point of view. Additionally, in today's diverse marketplace, recognizing that not all customers are the same and that needs may differ with cultural values, this session will address key customer insights to best deliver exceptional service to your Spanish-speaking customers. Everyone has heard of social media and social marketing, and most everyone knows at least a little something about Facebook, MySpace and/or Twitter. But there is tremendous confusion about how to use these tools for business marketing. Sure, you may use Facebook to share your vacation pictures with friends, but how are you supposed to use it to market your business? And what kind of "tweets" is a company supposed to send out on Twitter? And more importantly, why? Who follows this stuff, anyway? Who is the audience and what's the best way to reach them? This session will focus on how social media & marketing can be your new best friend: with so much pressure on marketing budgets, social media & marketing is a dream come true, because it costs little or nothing to execute. But you've got to learn the ropes of how to do it effectively and correctly, to truly reach new & existing customers with relevance. So you're blogging, tweeting and posting away and your fan base and followers are growing accordingly. Now what? What are the next steps in social media? How do you monetize it, track it and keep it growing? This session will focus on how to use social media to build your brand and elevate your marketing. The social media landscape is changing fast and new tools like QR codes, Google 1 and more are entering the picture that make consumer connection, dialogue and purchase influences easier and better than ever. This session will cover key tips on what's new in social media marketing as well as best practices and top tips to try. Along the way, a few social media marketing myths will also be shattered. Most people know that social media and social marketing are great for building relationships with customers and prospects online and for marketing your products and services in a low cost or no-cost manner. But few people realize the power of social media when it comes to the bad stuff: what happens when you've had a security breach or other crisis? Should you be communicating with your customers via social media during a time of crisis? For serious matters, is social media an appropriate environment for handling urgent, sensitive and disastrous matters? This session will focus on how social media & communications can be used to handle a crisis effectively. It's not just about trying to smooth things over with customers when they are upset or concerned about something. Today, information is shared quickly and widely, and bad news and bad information travel fastest of all. Learn the ropes of how to use social media platforms effectively and correctly, to not only handle a crisis, but also to come out on the other side with improved customer satisfaction and positive public relations. Matures. Boomers. Gen X. Gen Y. Or are they called Millennials? Why is Gen X called "X"? Why don't Boomers realize there's more to life than work? And why don't Millennials realize that their 5:00 pm yoga class does not take precedence over a client deadline? What happened to "paying your dues"? Why doesn't my supervisor praise me and appreciate me for all the great things I do every day? These questions are being asked and grumbled about in every office everywhere in the country. Any time two or more generations work side by side, there are going to be potential differences in the approach to work and collaboration. But never have the differences between these generations been so profoundly marked as they are now. Why? And more importantly, how do you learn to work with someone who has such a different approach to work, not to mention their values and priorities? This presentation focuses on key generational differences and how you can work effectively with someone much older or younger than you - and enjoy it! It's getting harder and harder to connect with others because there are so many barriers to connection. Technology is our friend, but also our enemy as we have more and more ways to filter out the information and communication we don't want. So in order to connect with someone, you must learn to tap into relevant belief, values or habits. And that can be hard to do when someone is different from you. This presentation will focus on key diverse market segments, emerging market segments, and how major companies are learning to penetrate these groups, either internally or as customer base expansion, to form deep and lasting connections. Attendees will learn why diversity is a real opportunity - and how you can grow your relationships by better understanding your neighbors, co-workers, your members and the community in which you live and work, today and tomorrow. The U.S. Census reveals that there are now more than 50 million Latinos residing in the U.S., and that Latinos are now the largest minority group in the country. By the year 2020, Latinos will account for one in five U.S. residents. Virtually every major brand, product and service is scrambling to learn how to tap into this large, lucrative and growing consumer base. Cultivating the Latino consumer will help you grow your business, today and in years to come. But it requires more than just translating a message into Spanish: you'll need to know which is the right Latino customer for you and how to connect with this consumer emotionally, rationally and culturally. Attendees will leave with specific strategies and tactics for developing effective marketing messages targeted specifically to the Latino market. The U.S. Hispanic population is exploding, and in some industries, as many as one in four workers is Hispanic. This shift in demographics is a permanent one and brings many changes to our society and our workforce. These changes also bring unique challenges to employers and workers as values sometimes differ in Anglo and Hispanic culture. Among Hispanics, values and customs often differ depending on country of origin and level of acculturation. Learning the key differences in values and cultural expectations among different Hispanic segments can help your business attract, recruit and retain the best employees. This presentation will focus on how you can best reach the Hispanic worker by understanding the varying levels of acculturation, the values associated with each, and how to increase productivity and retention among your diverse workforce. We all know that the customer is king. In our increasingly competitive business environment, it's more important than ever to cater to customers' needs, desires and provide customer service that goes way beyond basic politeness and courtesy. The best and smartest companies are finding that listening to what customers want and delivering on every promise, no matter how small, keeps customers happy and coming back for more. And terrific customer service doesn't have to break the bank: it's not about spending more to keep customers happy; it's about truly understanding the customer experience from a personal point of view. Customer service is an integral part of the customer experience. As such, it must be addressed holistically in a marketing plan to ensure that the experience of the of the customer meets the promise of the brand. This session will show you how to incorporate customer service into the development of a marketing plan, not merely address it as an after-thought or separate departmental silo. Marketing your product, service and yourself is vital to growing business. But exactly how does one do this effectively? How can the average small business market itself with limited dollars, yet achieve maximum results? This session will focus on what you need to know to effectively build a solid advertising and marketing plan. The U.S. Hispanic population is exploding, and is now the largest ethnic minority in the U.S. This shift in demographics is a permanent one and brings many changes to our society and our schools. Hispanic students face unique challenges compared to other students, including the expectation of speaking two languages and being bicultural as well as bilingual. Values differ in Anglo and Hispanic culture as well, and often students are torn between what is expected of them at school and what is expected of them at home. Educators also face unique challenges: from strained resources to bilingual education to getting parents involved in their child's education, today's educators are consistently asked to do more with less, and to learn how to connect with both the student and parents. And Hispanics are not "one size fits all" - there are significant differences in values and behavior that coincide with varying levels of acculturation. It is imperative to understand Hispanic values in order to understand the barriers that keep Hispanic parents from becoming involved in the children's school activities. This presentation will focus on how you can best reach the Hispanic family in your schools by understanding the varying levels of acculturation, the values associated with each, and how to help each student realize their full potential in our multicultural world. The U.S. population is increasingly diverse, and in some industries, the composition of the workforce is 70% minority. This shift in demographics is a permanent one and brings many changes to our society and our workforce. These changes also bring unique challenges to employers and workers as values sometimes differ between various cultures. Among Hispanics, the largest ethnic minority in the U.S., values and customs often differ depending on country of origin and level of acculturation. Learning the key differences in values and cultural expectations among different Hispanic segments can help your business attract, recruit and retain the best employees. This presentation will focus on how you can best reach and retain diverse workers by understanding varying levels of acculturation, differences in values, and how to increase productivity and retention among your diverse workforce. Why Do I Have to be Politically Correct?